In 1996 the Pop Music World was about to change .... GINGER, POSH, SPORTY, BABY & SCARY - The Spice Girls and 'GirlPower' had landed ! Topping the charts in virtually every country in the world, with hits like Wannabe, Spice Up You Life ... Spice Mania was everywhere. The five girls truly ruled the chart selling millions of albums and singles. 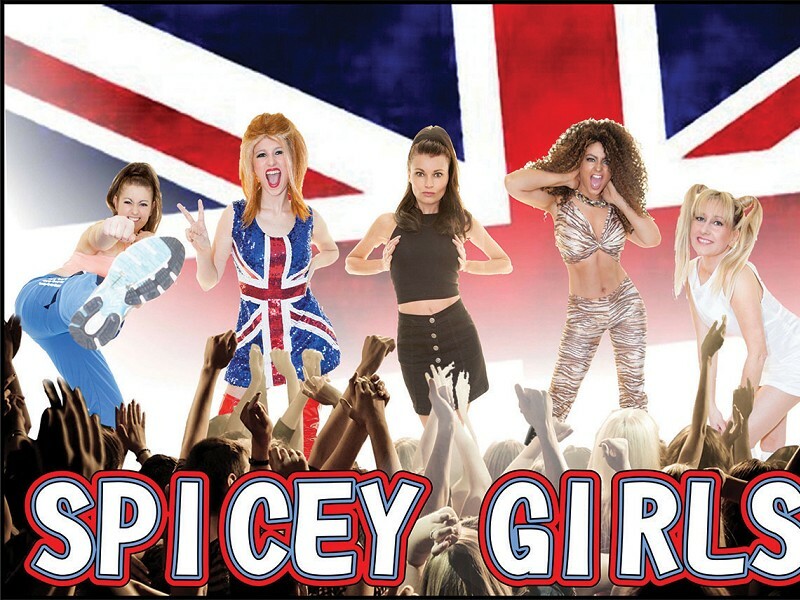 The Spice Girls appealed to all age groups, from toddlers to pensioners and what's more the 'Spicey Girls' will recapture that magic of that era for your event .. so if a sing alown dance'y tune is the thing for your event than look no further than The 'Spicey Girls'.